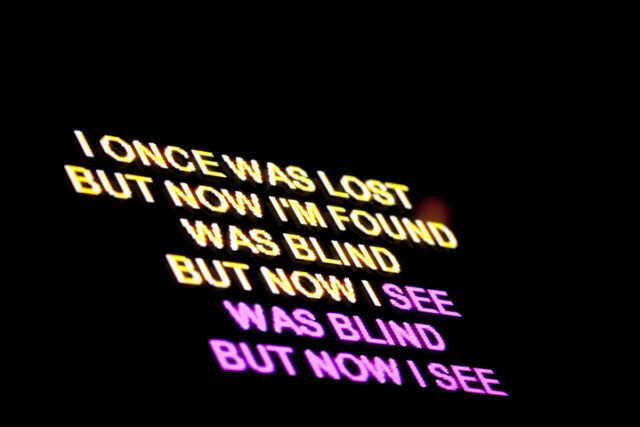 The lyrics to “Amazing Grace” scroll across a television during the Sing Along Live Praise and Worship Karaoke in the Theater of Life at The Holy Land Experience theme park in Orlando, Florida. Posted on 03/05/2010 by Melissa Golden. This entry was posted in . Bookmark the permalink.